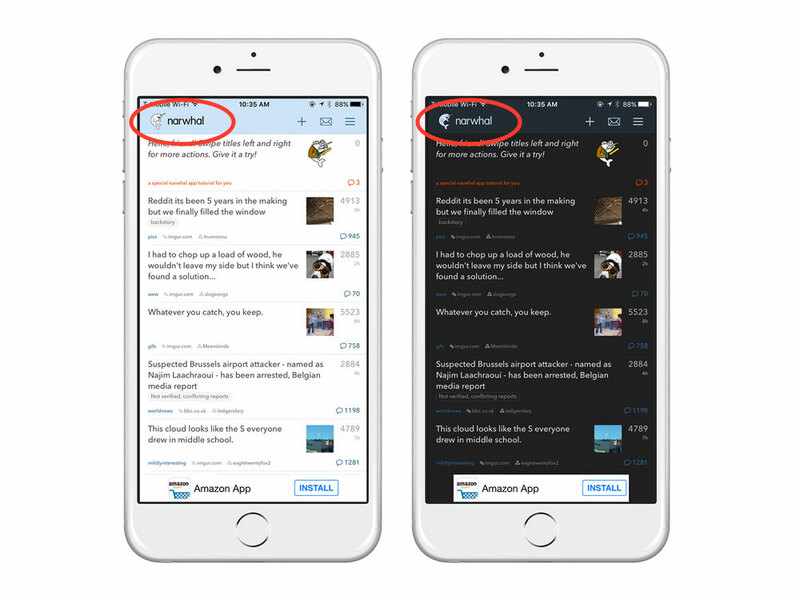 Narwhal was recently chosen as the best Reddit app for iOS. One of the hidden features is the ability to quickly switch between light and dark themes with one tap. All you need to do is tap on the narwhal text at the top of the screen. Although it’s a bit difficult to discover this little feature on your own, this makes it incredibly easy to swap to a dark theme for browsing Reddit in low-light settings.